Maybe you’ve always wanted to remodel your kitchen or bathroom, but the idea of where to begin seems overwhelming. It doesn’t have to be if you make Seigle’s your first stop! Many people only remodel a kitchen one time in their lives, and we do it every day. We love to walk people through the steps, and we can even be a one-stop shop—from design to financing to installation. 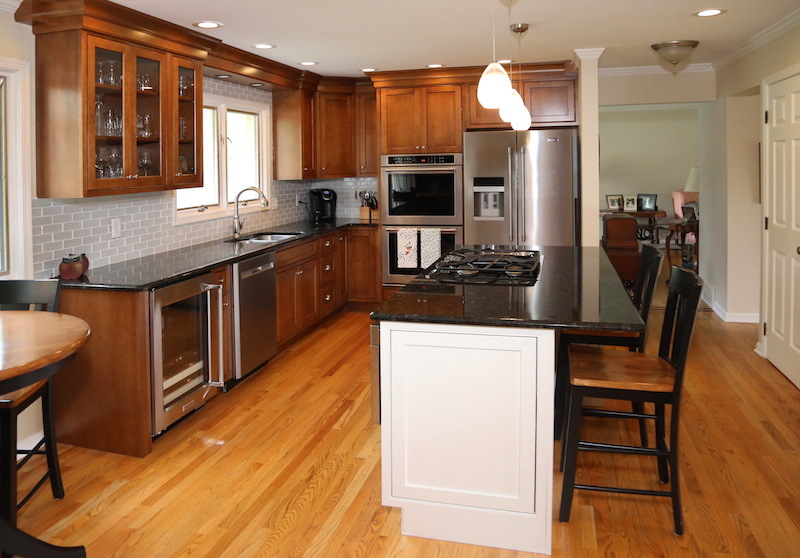 Learn more about the basic steps of remodeling your kitchen or bathroom today! 1. Gather initial information. Take rough measurements in your current space and browse Houzz, Pinterest, and home magazines for inspiration regarding your style. Check out Seigle’s Before and After website gallery to see our own past projects. Visit your nearest Seigle’s showroom and wander the displays to learn more about brands and features, and to see what is available and how it might work in your new kitchen or bathroom. Gather information about available countertop and cabinet brands. Have fun dreaming about your new space! 2. Visit a Seigle’s designer for an initial free consultation. Seigle’s designers have years of experience changing old, outdated kitchens into stylish, functional living spaces. We know that every project must start somewhere—we would like to be that somewhere. Tell us about your kitchen, and bring in your rough measurements or a drawing to help us get an idea of what we’re working with and what you envision, if you have ideas for the space. The designer will ask questions about what is working for you, what is not, your budget, and what you hope to accomplish. The designer can even give you a ballpark range of costs so you can decide what will work for you. 3. Schedule a home visit. Set up an appointment for a designer to visit your home for actual measurements that we will use to create your free estimate. At your home visit, the designer will confirm measurements and gather information about the space. They will help you create a more final vision for your new kitchen or bathroom. 4. Narrow appliance and design choices. With design, the first step is to finalize appliances, if you are getting new ones. Once you have chosen appliances that work within your new space, the cabinets and countertops can be precisely measured so we can determine costs. At this point, you also can narrow cabinet brand, door style, and finish, as well as countertop material and color. 5. Get a free estimate. We then can create a free estimate for the services you need based on your budget. We can estimate countertops and cabinets, and we can even estimate installation. From there, our designers can help you make adjustments to the brand, style, and finishes that work for you and prioritize features to keep the kitchen or bathroom within your budget while making it match your vision. At this point, you will also get an idea of the timeline for your project. 6. Apply for financing. If you need financing, Seigle’s partners with GreenSky, who offers incredible financing options. Learn more about their current offers! 7. Get your project started! Once all the details are finalized and the estimate is signed, we are ready to get started! Interested in kicking off your kitchen or bathroom remodel project? Visit your nearest Seigle’s today!